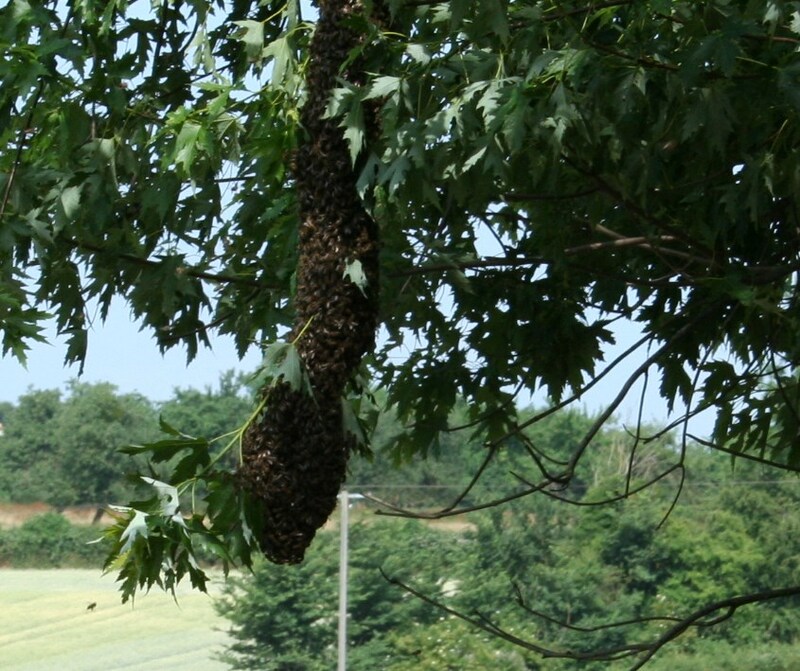 Bees, Tai ji and a whole lot of lycra! 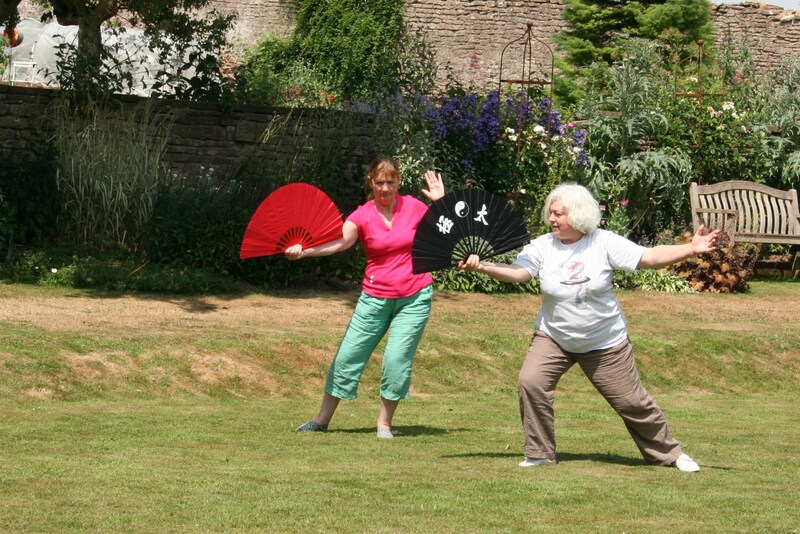 It’s been really hot and sunny here now for weeks and Alec Jones’s Dragon Spring Tai Ji school (http://www.dragonspringtaiji.co.uk/index.htm) was with us last weekend, enjoying being able to play their forms and do their exercises outside. Their practices included cane and fan forms which were lovely to watch. After dark one evening we kept hearing a cracking sound on the tennis lawn and eventually realised it was the crack of the fans being opened and shut! Two of the students were kind enough to let Steve photograph them whilst they practised their fan form. 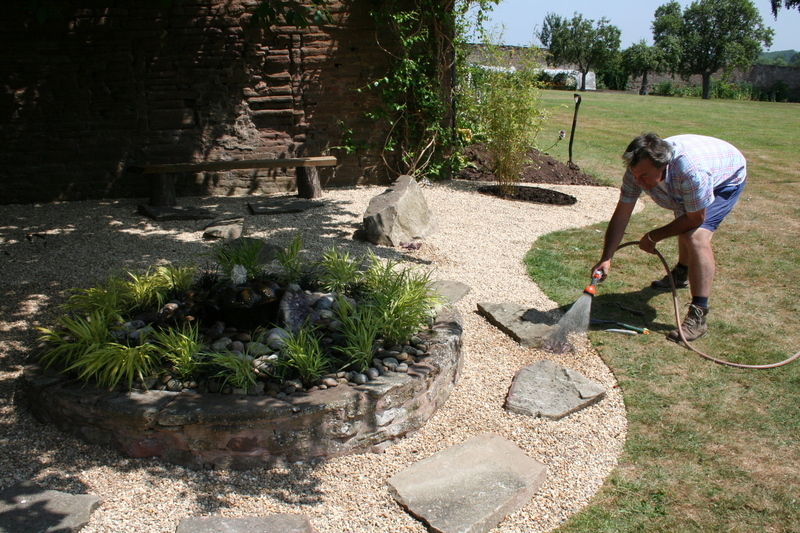 Meanwhile, the final touches to the stone garden have been happening. 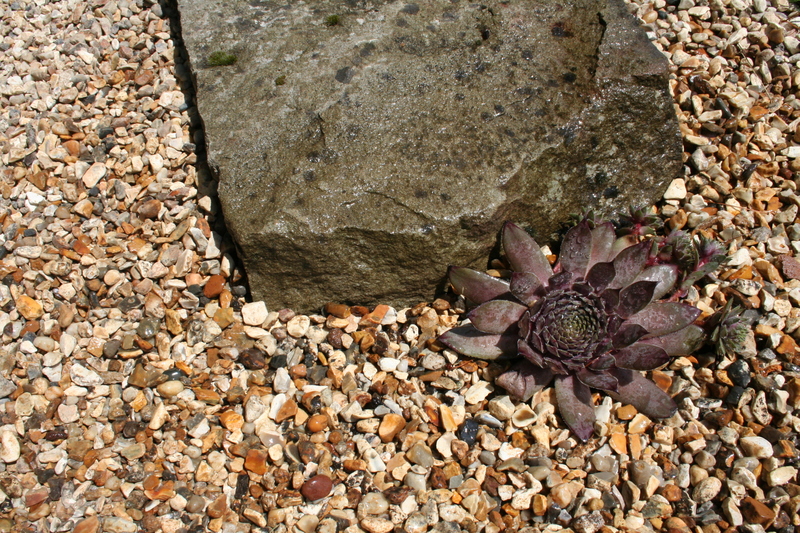 Some sempervivum plants have been nestled in amongst the rocks and look rather good against the stone. As the weather has cooled off a bit and some rain has finally come, we now have a lot of lycra around the place with the very wonderful Bicycle Beano vegetarian cycling holiday. 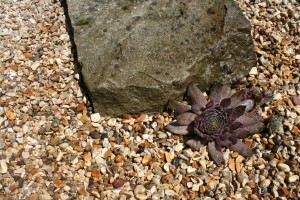 These guys laugh in the face of British weather and bring a lovely homely and communal atmosphere to the place. Jane Barnes and Rob Green have been running these holidays for years and attract a really great crowd of people. They always enjoy themselves whatever the weather. If you’re ever tempted, their website is http://www.bicycle-beano.co.uk/. That’s all from us! More soon! 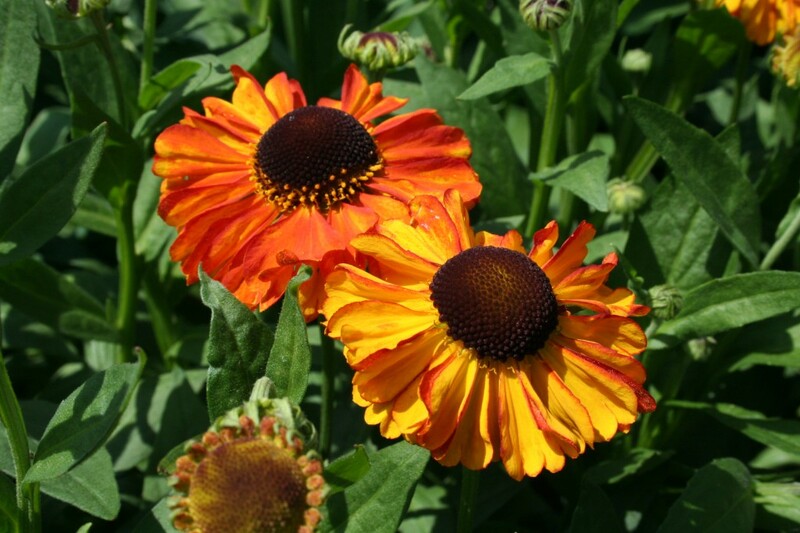 Thoughts and reflections……it’s all about power….